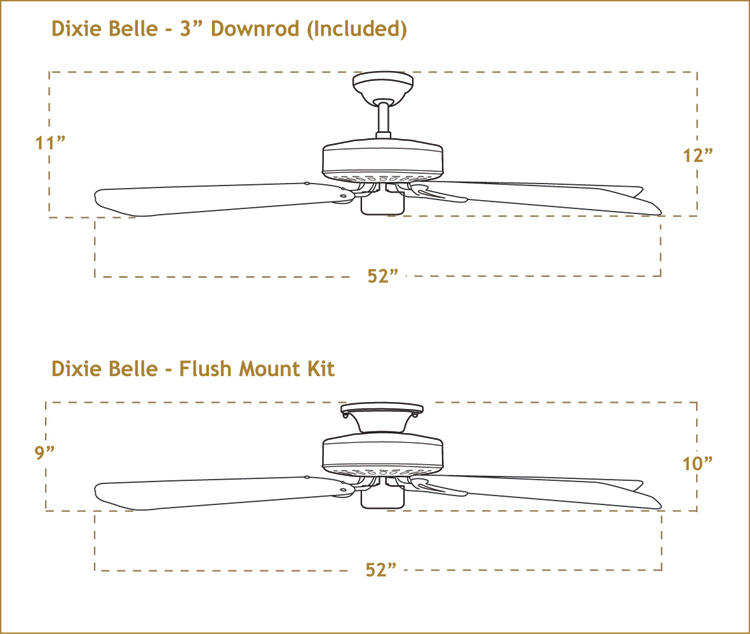 The Dixie Belle Outdoor Tropical Ceiling Fan w/ 52" Oar Blades*. 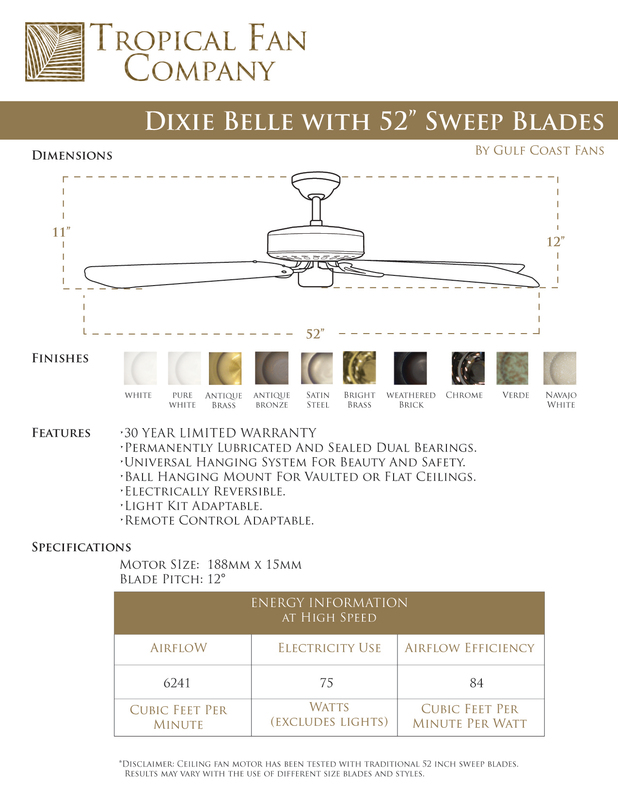 The Dixie Belle ceiling fan continues as the mainstay of the Gulf Coast Fans line-up. The popularity of this fan is attributed to good basic styling and a high performance motor for maximum air movement. The Dixie Belle Outdoor Ceiling Fan is offered in Verde Green, or Oil Rubbed Bronze. *Disclaimer: Ceiling fan motor has been tested with traditional 52 inch sweep blades. Results may vary with the use of different size blades and styles. 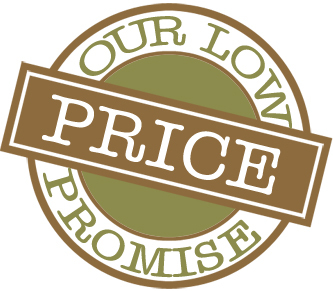 If you need a Light Kit for your fan, visit our Lighting Page and pick a bowl, fitters and glass, or low profile fixtures.